how (not) to listen to hip-hop. — I'm Eric Minton. This is Chance the Rapper. He gave 1 million dollars to Chicago Public Schools, fights gun violence in his city, and is a genius. Read more about him here. how (not) to listen to hip-hop. This is 3 of a 7 part Lenten series on how (not) to be human in the Internet age. One of the more confusing experiences of growing up in the South is the ubiquity of racists who love hip hop. These enigmas can be found almost anywhere, but are most commonly spotted in their mom’s Lexus -- with the windows rolled down and the factory bass turned to “elevens”-- on the way to the grocery store because the family is out of milk and they volunteered to drive. What I’m saying is that high school introduced me to a lot of things, Dave Matthews and Accutane for starters, but one thing whose impact far outpaced jam bands and dermatological malfeasance, was this sense that hip hop wasn’t for me, and that liking it, or listening to it, or valuing it as both a needed and desperately beautiful cultural corrective. Mostly, my refusal to listen to hip hop was (and sometimes still is) rooted in this pervasive fear of in-authenticity, that somehow the picture of me behind the wheel of my Prius V — as my son’s car-seat pushes my knees into the steering wheel— with the factory bass turned to “elevens,” will reveal me to be not only an un-self-conscious appropriator of a cultural lexicon that isn’t my own, but an appropriator who both directly and indirectly benefits from said culture’s repeated degradation. I didn’t (and still don’t) want to be a tourist when it comes to the systemic oppression of others. I wish I could say these very high minded reasons were why I avoided hip hop for the greater part of my formative years, but they weren’t. I mostly refused to listen to it because I didn’t like it, and I didn’t find it terribly interesting or musically pleasing. I’m realizing now that, for years, I was explicitly and implicitly taught that because of hip-hop’s repeated use of F-words, N-words, and “near-constant” references to violence, crime, exploitation, and naive self-aggrandizement in the face of extreme poverty and community degradation, that it was somehow beneath the more cultured musical styling of, say, someone who made a living singing 30 minute songs about drugs to crowds of dreadlocked white kids smoking weed on their respective campus quads*. In a world where music, and literature, and news, and angst, and pictures from one’s vacation are bought and sold on the Internet by corporations and Russian trolls, enters the first artist in the history of music to win a Grammy without a recording contract. 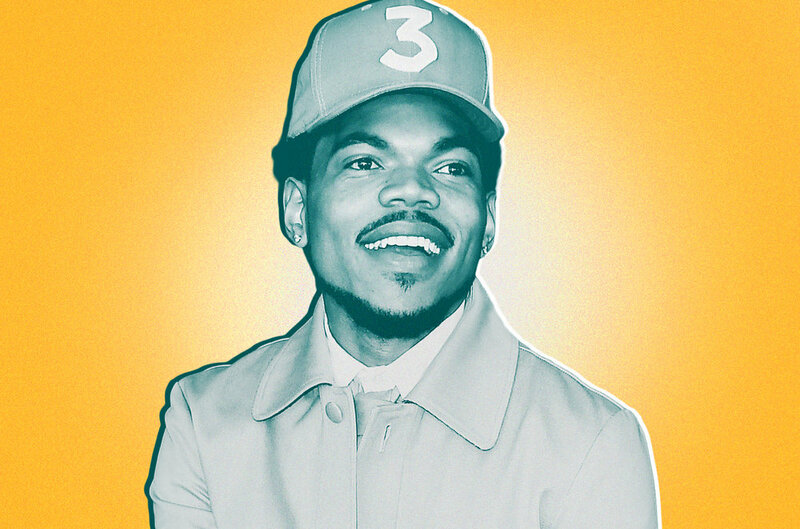 Chance’s work is a miracle that never ceases to amaze me, and it’s just one of the reasons why I’ve been listening to it (almost exclusively) during the Lenten season. One of the things I’m learning from hip hop, now that I’m giving it an opportunity to regularly instruct me, is that when a community of minority artists make constant and flamboyant reference to how accomplished they are in living the American dream – i.e cash, cars, attractive mates, more bedrooms than family members, etc. – and all it does is offend you, perhaps it is the dream rather than the dreamer we should be calling into question. Hip hop is a mirror into the soul of America, and it would seem based on how my middle class Caucasian community has responded to it, that what we see both intrigues our youth and terrifies our adults: people are treated as disposable and dispensable products, drugs are vehicles for escape and prosperity, violence and self-preservation are our guiding moral compass, and money is the metric that tells us how well we’re doing at surviving all of it. Hip hop is an artistic medium that refuses to let us escape from the actual philosophy under-girding most of our decision making in the world, even if we would never use that kind of language to describe it, which, reminds me of one of my favorite therapeutic postures. Across divergent frameworks in the field of Family Therapy there is general consensus that the family system’s power over individuals is almost gravitational in scope. If you don’t believe me, next time you go home for the holidays I’d love for you to time exactly how long it takes you to become 17 again. As a way of shaking up these systems that have become entrenched after years of self-preservation, unspoken rules, and crippling expectation, therapists have employed any number of extreme measures, my favorite of which is the paradoxical intervention. This strategy usually involves having people do more extreme versions of something they sought therapeutic services for in the first place. For instance, an enmeshed mother and young adult son whose relationship has shifted slowly from one of helpfulness to one of helplessness -- involving the mother repeatedly “doing” things for her son that he is more than capable of doing for himself: laundry, calling back prospective employers, paying for gas, etc. -- might balk at the idea of the mother cutting herself off entirely from her son’s personal life after a stern talking to from a well-meaning therapist. Enter hip hop (or the paradoxical intervention) and its invitation for this mother to do more for her son than she ever has: to embarrassingly call his girlfriend back for him when he is unable, to have him check in with her before every meeting and every meal time, to even have him call her when he has failed to have a good bowel movement at the end of the day in extreme cases. The goal is for the therapist to deliver this news with such gusto, such flamboyance, such commitment that the family cannot smell out the bluff. Over time, under duress from keeping up with these extreme measures, the family gives up, turns themselves in, and realizes that living this way is inhuman and unsustainable. My time with Chance this Lenten season has, paradoxically, taught me so much about the inhumanity of my own middle class Caucasian community, and the ways that we have divorced the ends of our sentences, and the meaning of our words and actions, from our actual lives on Earth. Our houses, our cars, our pensions, our pools, our schools, our pills, and our cul-de-sacs seem gaudy, seem obscene, seem garishly out of step with a world grappling with fires, floods, famine, and endless incarceration. Our commitment to comfort and success at all costs is profane, is scandalous, and is destroying our planet and our progeny. The vulgarity of Hip Hop and its steely-eyed commitment to capitalist swagger has been, for years now, trying to paradoxically tell us the truth about what our life in the burbs is really about. Perhaps it’s time we listened more closely to these prophets in baggy jeans and Bentleys, because if we do, we might find that finally letting go of a life spent pursuing personal blessings at all costs, might actually be the blessing we’ve sought all along.